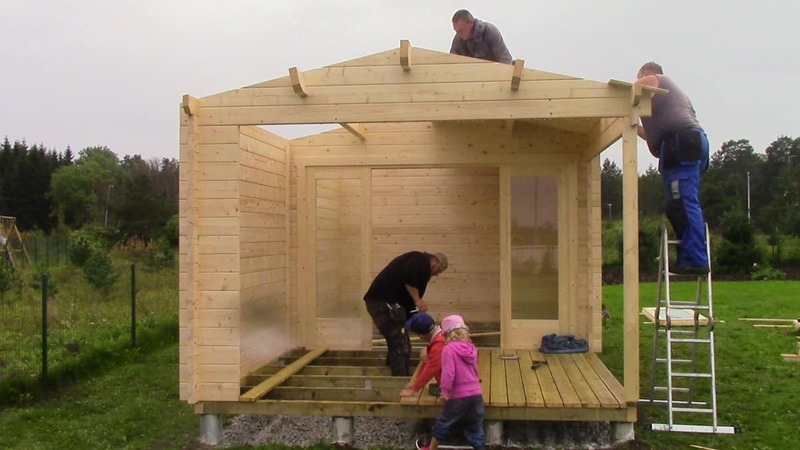 Installing a Summerhouse24 DIY log cabin only requires 2 people, but everything goes on at double the speed if you have a team like this. While 2 boys attach roofing boards, another team gets the terrace boards as well as floor boards installed. In just a few hours, another Summerhouse24 garden room is assembled!